On Time Remodeling Corp has been providing reliable and quality roof vents in Spring Valley, NY since 2008. When it comes to a installing a premium roof vent in Spring Valley, our skilled roofers do the job right, maintaining our commitment to quality and high standards. We at On Time Remodeling Corp have the expertise and dependability that you are looking for in Spring Valley. We offer the most professional and affordable residential and commercial roof ventilation installation in Spring Valley, NY. On Time Remodeling Corp can successfully install a roof vent in Spring Valley using any roof venting product in the market today. We are your top choice to install your eave vents, under-eave vents, gable-end vents, static vents and ridge vents for your roof in Spring Valley. On Time Remodeling Corp offers a wide selection of roof vent products and roof accessories for our customers in Spring Valley to select from. We also expertly install roof louvers, roof fans, soffit vents, turbine roof vents and solar roof vents in Spring Valley. On Time Remodeling Corp only offers the finest quality roof ventilation products so that you’re ensured an attractive as well as high performing roof. Let our experienced roofers in Spring Valley handle your roof vent installation and do the job right! Do you need roof vent repair in Spring Valley? Don’t hesitate to call us! On Time Remodeling Corp knows how to perform roof vent repair and fix attic vents on any building, office or home. On Time Remodeling Corp are also qualified installers of attic ventilation vents. 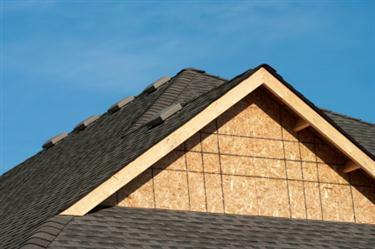 Remember, we are your go-to roofing company in Spring Valley! Since 2008, On Time Remodeling Corp has been installing roof vents in Spring Valley, building a reputation of being dependable and affordable. You can trust that On Time Remodeling Corp’s roofers in Spring Valley are as courteous as they are knowledgeable. Contact On Time Remodeling Corp about your roofing vents in Spring Valley, New York. Our Spring Valley crew will be happy to provide you with a competitive roofing ventilation quote and stand by the outstanding roofing service that we deliver. 5★★★★★ - "Your presentation is excellent. Your worker, perfect." 5★★★★★ - "The job was completed very fast. We were very happy with how quickly it was done. The cleanup was excellent. Nothing left behind. The bushes and landscaping were left unharmed."